If you’re like most people you hate back pain. Not only do you hate having it, but you hate how difficult it is to cure. It feels like a burden that weighs your entire life down. And at times it even feels like the entire system is rigged to make treatment complex and overwhelming. Some unfortunate patients find that even medication is useless in stopping their pain. If you’re an especially unfortunate case – even surgery may fail to help. In such cases there is one last resort – pain management injections. When we speak of pain management injections, we ussually mean steroids or an anaesthetic of some kind. It’s important to note that every anaesthetic or steroid has different effects on different people. One person may feel immediate alleviation from pain. Whilst another may find absolutely no benefits to any injection of any type. Does your case call for back pain management injections? An article can not tell you if injections are appropriate for you. Only your friendly chiropractor can give you personalized advice. We can however go over some commonalities and generalizations. As it turns out, there are two major groups that get the bulk of these treatments. Most pain management injections are handed out among people who suffer from spinal stenosis or radiculopathy. Radiculopathy is a condition where nerves in the neck or lower back are damaged. People who have this condition report that they feel pain in their lower back, legs or arms. In the case of spinal stenosis, the lower part of the spine becomes less wide. People with this condition feel pain in their back, legs or buttocks. If you have spinal stenosis and you lean forward, the pain may go away. But the more active you are, the more pain you may feel. When pain management medications are used for pain, they are injected near the inflamed part of the body. Other types of back pain can also call for pain management injections. In some cases, doctors will use pain management injections just to figure out the reason behind the pain. 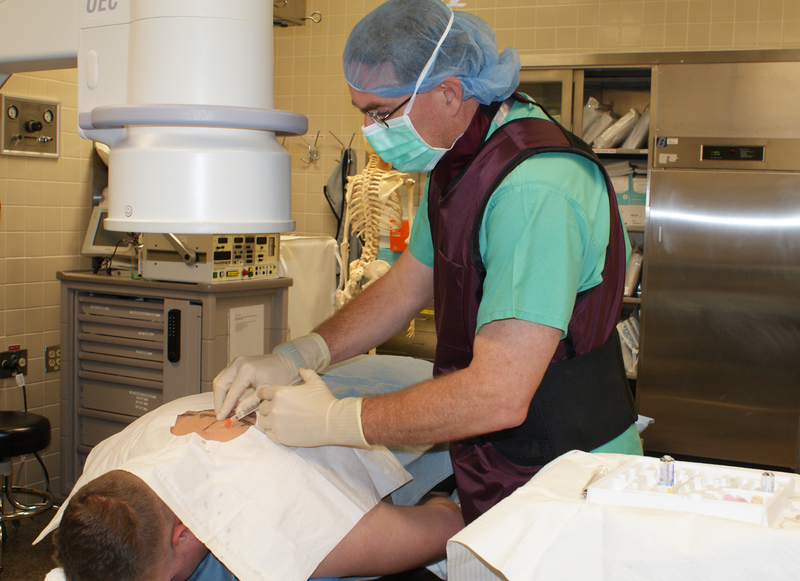 Epidural injections are given to people near the spinal cord area. These injections need to be given by professionals who have been specially trained. Prior to getting an epidural injection, you will need to have your back scanned. The test scan helps doctors find out the reason behind the pain. In some cases, you can get a sedative before the injection, so that you don’t feel pain. The needle is inserted into the skin and the doctor moves the needle. The needle is then moved until it reaches the spine. The doctor will of course look at an X-ray video while moving the needle. The needle is supposed to be injected into the epidural area. The epidural area is a space that sits in-between the spine and the spinal cord. When the needle hits the epidural space, the doctor will go ahead with the injection. Epidural injections don’t need to be given that frequently. The optimal amount is three times a year. But if one or two epidural injections make the pain go away completely, then there is no reason for another injection. It’s important to know that the epidural injection is successful for about half of the patients. If it works for a patient, the effect may last for a few days or for a whole year. It depends on the person, there is no definite rule for every patient. For patients that have severe back pain, any amount of time without pain will do. Now onto the risks for epidural injections. There are three known risks associated with epidural injections. In nerve block injection cases, doctors first need to sedate the area around the nerve block, with an anesthetic. Right after the injection, the pain will subside and the patient will be able to relax. But this relaxation period only lasts for a few hours. If your doctor is trying to find out the reason behind your back pain, he or she will try different injections on you. This is done to test which injection alleviates back pain. Based on the result, the doctor will decide what to do next. The success rate for nerve block injections depends on several factors. Your primary diagnosis is one of those factors. Another factor is the reason behind the use of nerve block injections. While there is no definite rule on how often you should be getting nerve block injections, three injections per year are just about enough. Nerve block injections are more complicated than epidural injections. The goal of discography injections is to find the cause of back pain. In many cases, the disk between the spinal cords may be damaged in some way. The doctor will use the injection to observe what’s going on in the spinal disk. The observation will be completed with an X-ray. The doctor will try to see if the contrast dye, which was previously injected into the spinal disk, stays or seeps out of the disk. At some point, the doctor will ask you to verbalize what you are feeling. You will either feel pressure, pain or absolutely nothing. If you feel pain, you will either feel your typical back pain or a new form of pain. Based on the results, the doctor makes some final conclusions. It’s important to know that discography may not be the ideal test for determining back pain causes. There are some risks connected to getting discography injections. If the disk space is infected, that can be a big problem, since this is a condition that is not easy to treat. Fortunately, technology has advanced and there’s only a small possibility for your disk space to get infected. Another risk is related to your nerve root; there’s a very small possibility of the doctor damaging it. The last risk is the least dangerous, a spinal headache. If your doctor, however, is very experienced and careful, there is almost no risk to getting discography injections. You may not want to start with injections without trying medications. The best time to start getting injections is when you are done with medications or/and physical therapy. But it’s important that you choose injections before you choose surgery. Injections are typically stronger and quicker than medications. 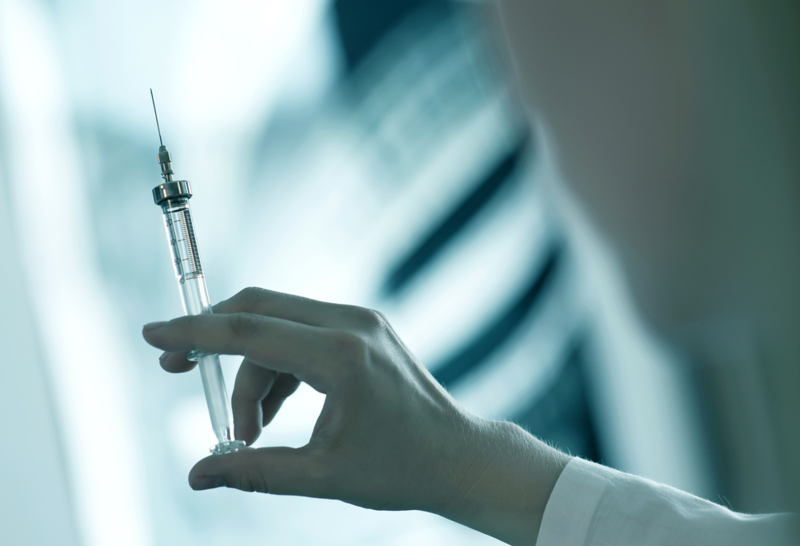 If you want to alleviate pain quickly, you will be better off with injections than with medications. Medications may take too long to start working and they may not even work that well.